It’s Spring time in Florida! Which means that yesterday it was perfect weather for throwing open the windows. Not a cloud in the sky,breezy,just loving life. It also means,if you’re an allergy sufferer,which I am –the makers of ZyrtecD loves me-,you probably are having problems. But today,…..turn on the freakin’ AC, ‘cause,crap,it’s hot! Time to start watering the veggie garden every evening….. 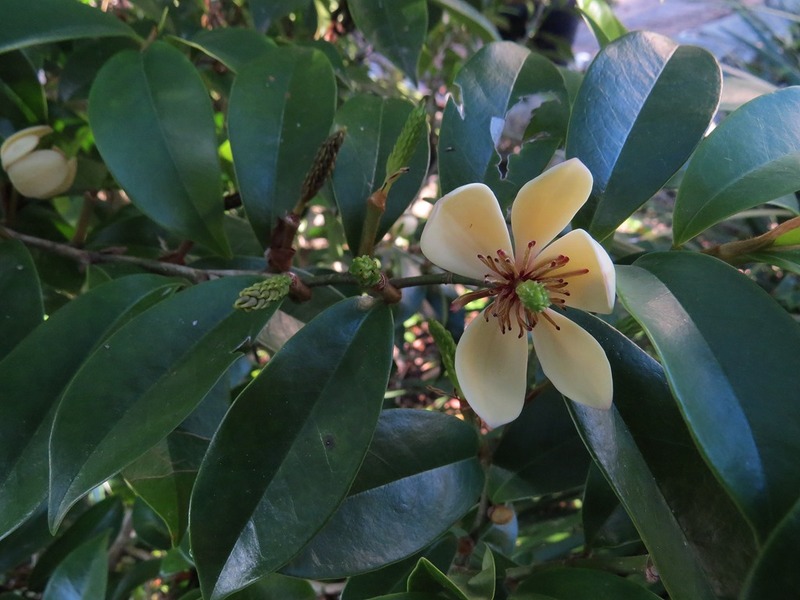 But while watering,it’s time to start noticing the scents of the Florida Spring time garden! And the scents are awesome at this time of year. 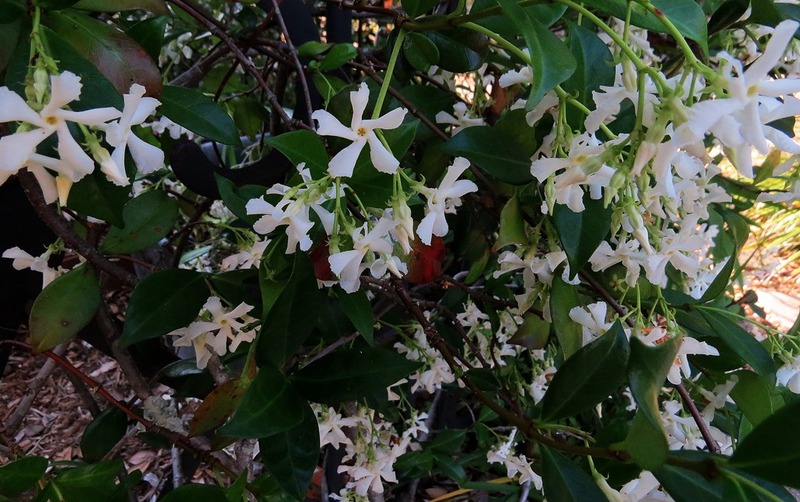 Confederate Jasmine –the scent is glorious at this time of year. I’ve trained this into a tree,and it is now over 9 foot tall. 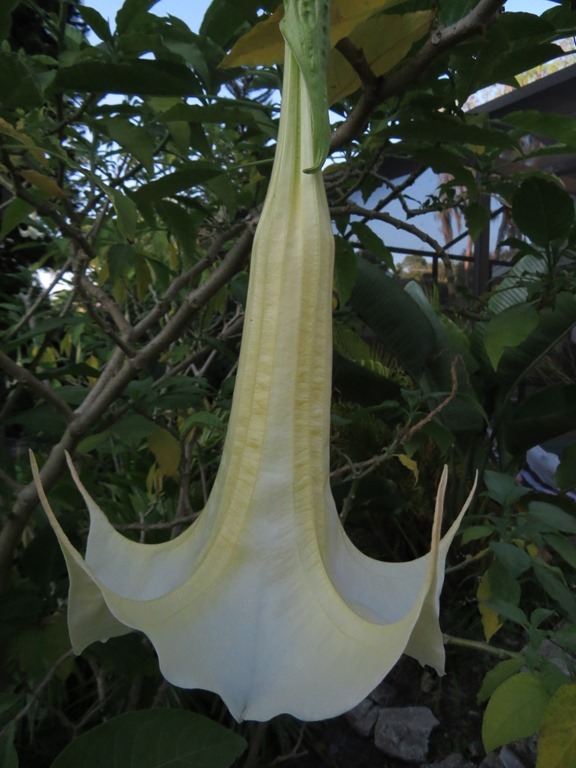 I have two of these,that I have trained into trees,with a pathway in between.Both are over 10 feet tall.Their scent is most overwhelming in the evening.When I walk between these two ,in the evening,the scent is beyond words. The first plumeria buds have arrived! So,now,I have Honeysuckle,almond,jasmine,banana popsicles,and soon-to-be Hawaii in my garden. And not a sneeze in sight….. 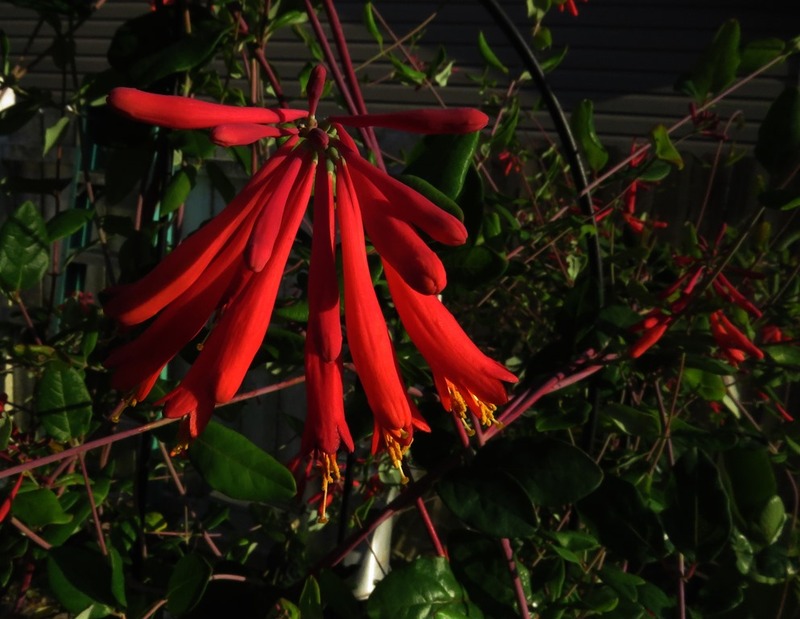 This entry was posted in gardening and tagged Angel's Trumpet, banana shrub, Confederate Jasmine, Coral Honeysuckle, gardening, Sweet Almond bush. Bookmark the permalink. I loved your beautiful photos!!! I can almost smell them now. Especially love the Confederate Jasmine, Angel’s Trumpets and my all-time favorite is the plumeria. 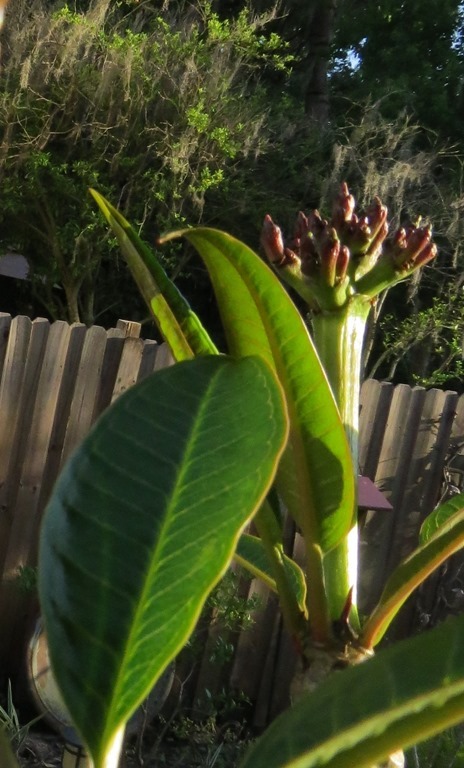 My poor plumeria is only about 10″ high (and it’s also about 10 years old). Doesn’t do really good as a houseplant up here. Goes dormant for about 6 months. Great post! You have some wonderful bloomers. Sorry you have allergies acting up in the spring though. Could you show a photo of your aloysia ~ sweet almond ~ in it’s entirety? Mine is a baby, but I’ve read they grow fast and I’d like to prune it into a tree shape. I just love the scent of it. Have a lovely Sunday. I’m afraid summer is upon us already. The cooler weather was nice while it lasted.